We are serious about travel which is why we are seriously good at it! The Travel Company Edinburgh is an award-winning independent travel agency of 25 years ready to assist you for all your travel needs. 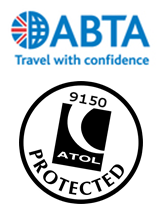 Our experienced team boast a combined experience of over 200 years in travel which means you are in safe hands. The Travel Company Edinburgh is Scotland’s most dynamic and diverse Travel Booking Organisation. Under its several brands it completes the roles of; TMC (Travel Management Company), DMC (Destination Management Company), MICE organiser (Meetings, Incentives, Conferences, and Events), Travel Agent, Tour Operator. Operating in both the outbound and inbound markets. No one else offers such a comprehensively combined and professional service. Our team of qualified agents and operators are professionally trained to use both the latest technology and human intervention to maximise the benefits our clients require and obtain in cost savings and quality of service. Innovative solutions to any travel problem are a major part of what we do and is why we have been successful for over 25 years. Our attention to detail and competitive pricing make it obvious why we should be your first choice for travel services. As an independent agency we offer a personalised and bespoke service. Offering excellent value for money and access to some of the best deals in the industry through our membership of the Advantage Travel Partnership. Whether you are looking for travel solutions for your business or our expertise to book your personal holidays and honeymoons our team would be delighted to assist.